How Can I Get My W-2? If you have Internet access, you can print your own W-2. 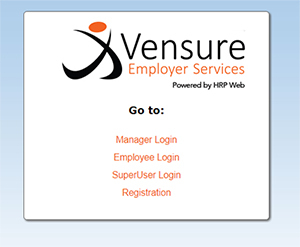 W-2s are available online by logging into Vensure Employer Services. Your Username for the Employee Login is your social security number, with dashes. (Example: 123-25-2563). Your Password for the Employee Login is your social security number, with dashes. (Example: 123-25-2563). Once you’ve logged in, W-2s can be accessed by going to the Employee Inquiries menu and selecting the W-2 Reprint submenu. In addition, hard copies of all W-2s will be mailed directly to each employee, per the address on file, no later than the end of business on January 31, 2019. W-2 related inquiries should be sent to w2@vensure.com. W-2c related inquiries should be sent to w2c@vensure.com.